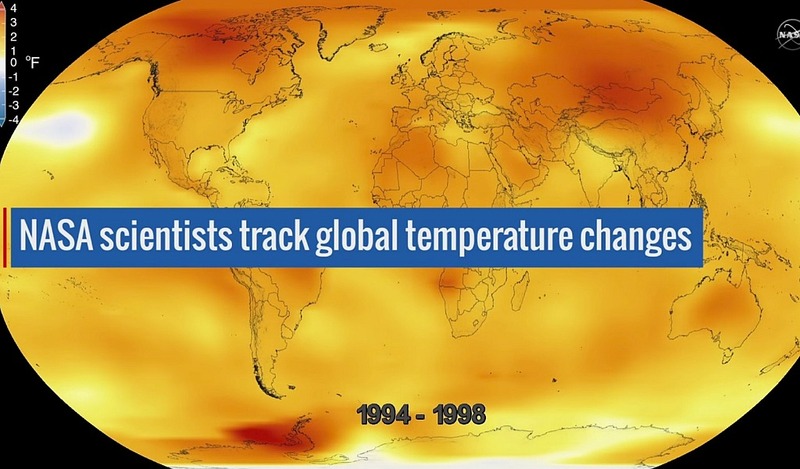 WASHINGTON — Earth’s 2016 surface temperatures were the warmest since modern recordkeeping began in 1880, according to independent analyses by NASA and the National Oceanic and Atmospheric Administration (NOAA). Globally averaged temperatures in 2016 were 1.78 degrees Fahrenheit (0.99 degrees Celsius) warmer than the mid-20th century mean. Not only was 2016 the warmest year on record, but eight of the 12 months that make up the year — from January through September, with the exception of June — were the warmest on record for those respective months. October, November, and December of 2016 were the second warmest of those months on record — in all three cases, behind records set in 2015. Phenomena such as El Nino or La Nina, which warm or cool the upper tropical Pacific Ocean and cause corresponding variations in global wind and weather patterns, contribute to short-term variations in global average temperature. 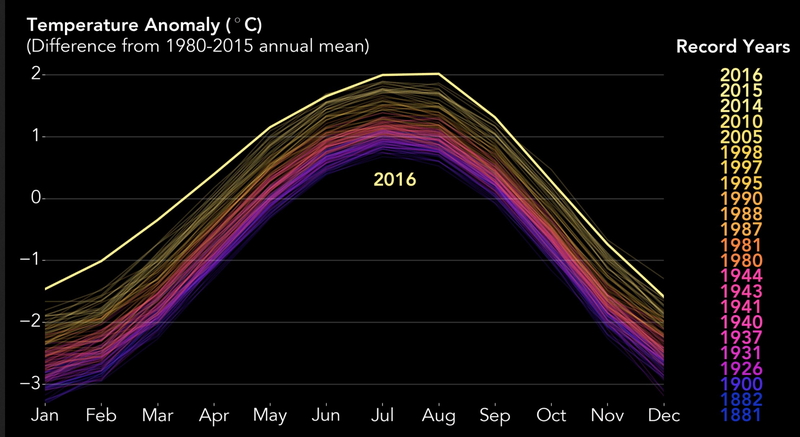 A warming El Nino event was in effect for most of 2015 and the first third of 2016. Researchers estimate the direct impact of the natural El Nino warming in the tropical Pacific increased the annual global temperature anomaly for 2016 by 0.2 degrees Fahrenheit (0.12 degrees Celsius). Weather dynamics often affect regional temperatures, so not every region on Earth experienced record average temperatures last year. For example, both NASA and NOAA found the 2016 annual mean temperature for the contiguous 48 United States was the second warmest on record. 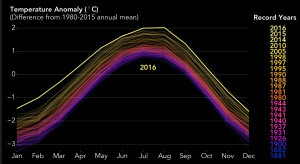 In contrast, the Arctic experienced its warmest year ever, consistent with record low sea ice found in that region for most of the year. I’m so glad I cancelled my subscription to this day years ago, pushing the great lie, climate change… Used to be a farm paper, now it’s a lapdog to its now mostly urban yuppie gardeners. Love the left’s hate!